The Tulipas Coral Oil Cloth is a non woven PVC. This is a colourful printed PVC. 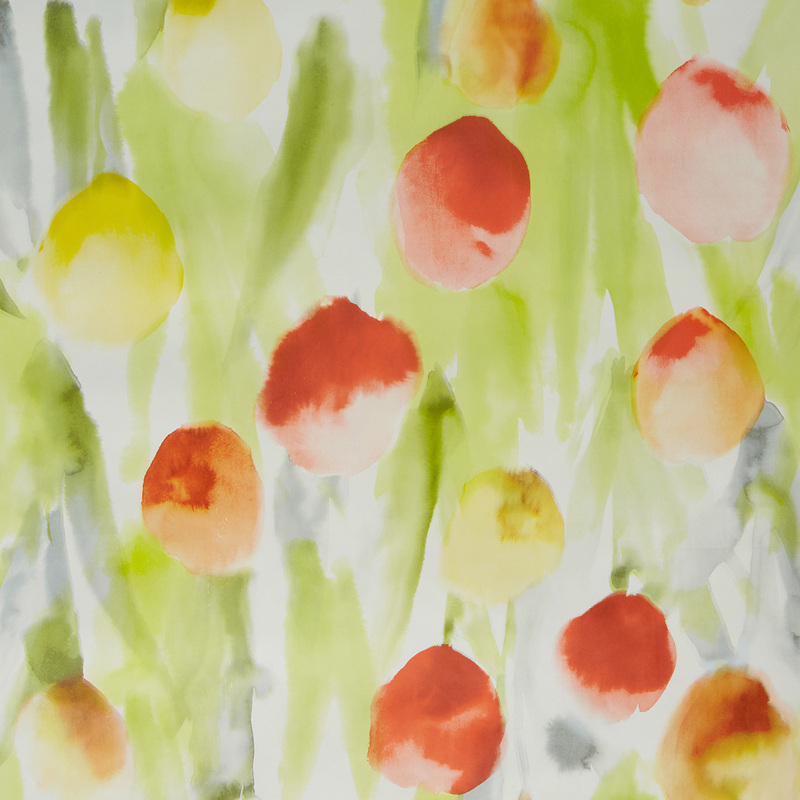 the vibrant shades of orange, yellow and green are painterly like, this would be ideal for summer use. Use for both indoor and outdoor occasions.